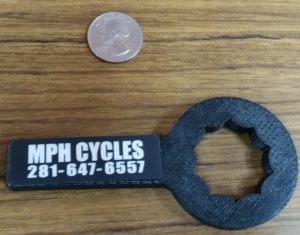 Oil Dip Stick Wrench, This is flawlessly designed and ONLY available at MPH Cycles. It is made to tighten the oil dip stick on all V7 Range Moto Guzzi Motorcycles. It can be shipped for your convenience or available today for $18.95. Call for details.